Let your feet take cover from the cold weather in the Toe Warmers Shelter! This women's mid-calf winter boot doesn't sacrifice on style. However it is set in a deertan leather vamp and has a trendy fold-over faux fur cuff. 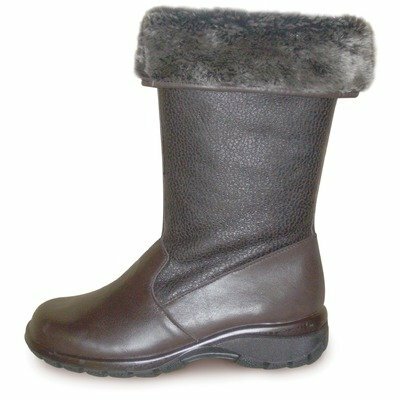 This Toe Warmers boot has an inside zipper that makes for easy on/off, and a Warmtex sock lining that ensures your feet stay warm. Shelter yourself from the cold in the Toe Warmers Shelter! "Warmtex"sock lining. Moulded "Warmtex" insert.